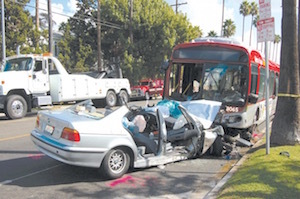 Hollywood Truck Accident Injury Lawyers: Over 40 Years of Experience in Personal Injury Claims & Wrongful Death Claims in Hollywood, Los Angeles and California Looking For Trustworthy Legal Advice for Personal Injury and Wrongful Death Claims in Hollywood, Calif.? Truck accidents can be devastating. Pain. Emotional distress. Stress. Hospital & other medical bills. Loss of earnings and income. How does one deal with the losses associated with a truck, car or motorcycle injury accident? Our Hollywood truck accident, car accident and motorcycle accident lawyers provide expert personal injury legal services for those injured in a truck, automobile, motorcycle and other accidents, and to the relatives and families of those killed in truck and other accidents for wrongful death claims in Hollywood, Los Angeles, California. We extend our services to family members who have lost a loved one in a tragic truck accident and need support and legal counseling regarding wrongful death claims in Hollywood, Los Angeles, Calif.
For a free case evaluation or legal counseling from our truck accident injury lawyers and our legal team with over 40 years expert experience, contact us now without any hesitation. In fact, you can find additional and immediate helpful information on truck accident cases and wrongful death claims on our website. For further details and information about the experience of our truck accident personal injury & wrongful death lawyers, visit our home page, our lawyer profiles and our personal injury testimonials. About Hollywood. Los Angeles, Calif.
Hollywood is not a separate city as some come to believe but actually a district located centrally in Los Angeles, California. 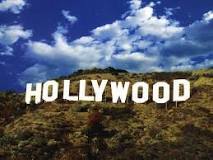 It is noted for being a hub of the entertainment industry; home to several historical movie and television studios. An ethnically diverse, densely populated, and economically diverse neighborhood, the district of Hollywood, Los Angeles started as a small community in 1870. Incorporated in 1903, it officially merged with the city of Los Angeles in 1910, soon after it went on to become a prominent hub for the film industry and today is one of the most recognizable places in the world. Some notable places of Hollywood, Los Angeles include the Hollywood Walk of Fame with stars for many famous celebrities, Pantages Theatre, the Hollywood Wax Museum and the CBS Columbia Square. Truck accidents that lead to fatalities are due to extensive interstate highways in Hollywood, Los Angeles and other places in California. More than 12,000 commercial and semi trucks have been involved in non-fatal accidents in just one year. Truck Accidents in Hollywood, Los Angeles, Calif.
A major reason for the high rate of truck collisions with serious injuries and fatalities is that some truck companies neglect important safety aspects and are solely or too concerned with their profits. This often results in shoddy truck inspections, maintenance and repair work, reckless driving due to truck driver weariness or driving under influence or drugs (including those designed to keep weary truck drivers awake) and alcohol, and other causes. Why Choose Our Personal Injury Legal Services? Our personal injury lawyers and law firm for Hollywood, Los Angeles, California, aggressively pursue our clients' rights and all appropriate remedies to further their best interests. An astounding $100,000,000.00 plus in funds has been recovered by our experienced personal injury attorneys. In fact, we offer the victims of truck accidents assistance with medical & dental care and surgery (regularly without any charge due until the case is resolved), property damage repairs and settlements. Our consultation is FREE and we work on a contingency fee basis, so there’s NO fee until you WIN!